If you’re looking to save money easily so you can treat your family then this 1p saving challenge is for you. We all know that saving our family money isn’t easy but by completing the five steps below you could be on your way to saving your family over £650. One of the best ways to start saving money is with a challenge. Right now we are running a FREE money saving challenge to help all our readers save their family more money. 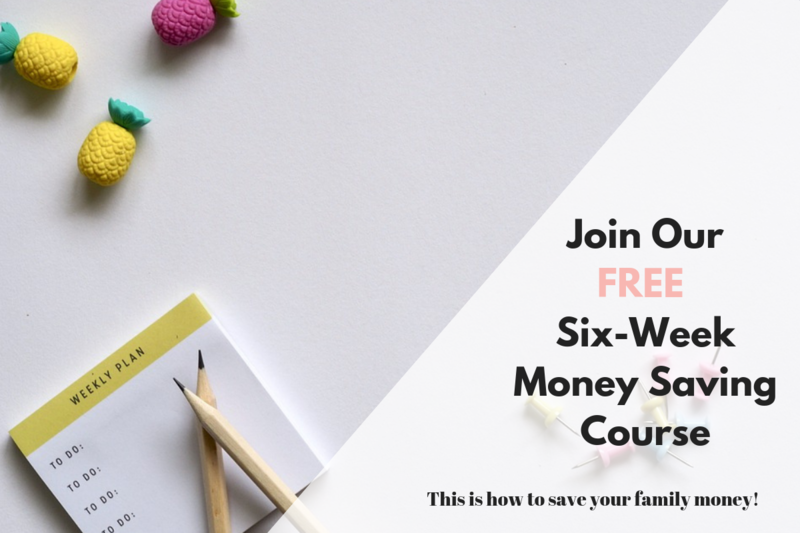 You’ll learn how to save your family money every month and hopefully, help you to build a nest egg to use to treat your family. There are 2 lessons every week. Don’t worry if you can’t keep up every week. Just keep them in a folder and refer back when you’re ready. Join our free Money Saving Course here and get access to our FREE Resource Vault as a thank you. This 365 days money saving challenge works by you saving a penny a day. So on day one, you save £3.65. On day two you save £3.64 in till you get to day 365 and you save 1p, with a massive £667.95 in the bank. That’s £667.95 for doing nothing but putting a few coins in a jar every day. The first day does seem hard but it gets easier as it goes down and soon you’ll just be looking for small change. It’s true it’s hard to save money as a family. By trying these five tips below you could have over £650 towards your saving goal. Here are our five best money saving tips to help you save your family as much money as possible and smash your saving goal. Keeping up to date on what’s going on in the finance world is a good idea regardless of if you have savings or not. Finimize* offer a FREE email that explains the financial news in 3 minutes without jargon that get’s sent direct to your inbox. 1.Check your life cover – Compare your current cover with comparethemarket.com and check you’re on the best deal for your family. Buy your life insurance online through comparethemarket.com and you could claim an Amazon.co.uk Gift Card from £25 to £135*. Simply quote and purchase your life insurance online through comparethemarket.com to receive this offer. (*Amazon.co.uk Gift Card value dependent upon your monthly premium and Insurance provider. Offer available for policies applied for online. You will be contacted to claim your Amazon.co.uk Gift Card shortly after paying your third monthly premium. Full T&C’s can be found here. 2. Meal Plan every week before you shop – You can make your own weekly meal plan or download my meal plans and shopping lists for free from the Resource Vault. Having several copies on hand will help inspire you to get started and keep up the meal plans for several weeks. Before you know it, meal planning will become a natural part of your routine. 3. Switch energy suppliers – Using a switching service like Swiftcraft* can really help you shave some money off your energy bill. Prefer to do it yourself and want to get £50 free credit on your bill? Consider switching to Bulb. It took me less than 5 minutes to save £163, plus I got £50 credit from using someone’s referral link. Right now Swagbucks* are offer an extra 1,500 SB (£10) ‘swag up’ bonus promotion available for all new members. Sign up through this link, then shop with any of their stores with a minimum spend of £25 and receive your normal cashback and your £10 bonus! 5. Haggle – Don’t settle for the price. Start by phoning up all your existing suppliers for a better deal. Use a compassion site like GoCompare to check you’re on the right deal. For TV subscriptions, set aside an hour and check for the latest deals. If you’ve been with Sky TV* for a while then you may be able to join SKY VIP. You can get money off your existing package and offers on new ones. It’s true that you still have to haggle though so put aside a good hour and decide on the line you will cross ie canceling or not. Amazon Prime* – Includes TV and next day delivery. Free for 3o-days. Netflix – Loads of shows and free for a month. Remember to set an alarm to cancel them before the date is up! If you prefer to do your savings online, then why not set up a free savings account with the added bonus of interest being added. Depending on how high your interest rate is, you’ll get a bit extra added on top. Win! If you’re saving directly for your kids to have pocket money (let’s be honest, it happens to us all) then have a look at goHenry*. It’s a pre-paid card that you can transfer money to. Meaning tweens and teens can spend it like a debit card but can’t go overdrawn. It means you can keep track of what you give them and what they are spending the money on. Perfect if you are on a limited budget. It may just be 1p a day, but like the old saying goes, it all adds up. The good part of this challenge is that the first week is the hardest and the most expensive, so by the time you get into a routine of saving, you will notice the amount less. My only tip is to try not to think of this as something you can only start in January. You can start it anytime. There are no dates on the PDF and it can be adapted any way you like. 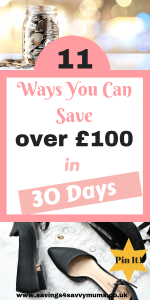 So you can repeat the first 30 days all year, which would give you a massive £1,260 at the end of the year! If starting at £3.65 feel daunting, then start further down and save what you can. This really does give you the option to start on any day. Plum – Plum is free and compatible with most UK bank accounts. Once you connect it to your online banking, it gathers information about your spending and uses that data to work out how much you can afford to save. Every few days it transfers an amount it believes to be affordable automatically. The best thing is you can get to your money anytime so if you suddenly need it you can transfer back straight away! Squirrel – If you find it hard to stretch your outgoings, then this app is for you. You have to get your salary paid into a separate account (run by Barclays so don’t worry, it’s all legit) and it then releases the money gradually back into your current account so you don’t spend it all at once. Yolt –Yolt syncs to your accounts in one view, see your spending clearly and do more with easy budgeting, international money transfers and energy comparison. We’ve all struggled to save but if you really need to save money so you can pay off debt then the first step is to budget. Know what you have coming in and out and prioritise what needs to be paid for first. So how do you budget? • Look at the last three months shopping bill, your last energy bill, annual bills and anything else you spend your money on. Be honest with yourself. Then divide it by three to come up with your outgoings. The aim is to have your books balancing – so you’re not spending more than you earn. To do that, you need to work out how much you spend on and on what. • Once you’ve done that, you need to scan through and decide what your categories will be. This could be petrol, Christmas saving, clothes, food, hobbies etc. • Now you need to decide how much from your wages you can use for each of your categories. Use our budget sheet to keep track of what’s going on. Try and pay off your biggest debt first or your debt with the biggest interest rate. The 1p saving challenge is a great way to save whatever you need the money for and you can get the whole family involved. If you feel like the 1p saving challenge is going to make money tight, then why try these five ways you can make money now to help you pay toward your savings goals. 1. Don’t be afraid to sell things – If you are your family have loads of stuff you don’t use then consider selling it to balance the books. Of course it’s a one-off, but hopefully you can use the money to repay debts or get your savings back together. This may mean selling a second car or down to toys the kids no longer play with. If you haven’t used the item in 6 months then consider selling it. We sell across eBay and Facebay. For bigger items eBay* is the best place to sell. You can add collection only and as a personal seller eBay only take a percentage when you sell. 2. Make money through a skill – Are you good online? Do you have social media experience or admin skills? Then have a look at becoming a Virtual Assistant. A Virtual Assistant is someone who works from home, who can perform all the nitty gritty admin jobs that a client needs remotely. 3. Honest reviews are more important than ever. Companies will send you free products to test and review and in some cases cash for your time. A good site to look at is Buzzoole. 4. Surveys – Make money around the kids. Surveys aren’t going to make you rich and they can be a pain to complete, especially if you get screened out. I have found the three survey websites that consistently work for me and I have stuck with them. * Prolific Academic* – Never get screened out again. Answer surveys and get paid for your time! * Branded Surveys – easy to use and can convert to gift cards. * OnePoll – international research panel. Earn money while you answer questions. * Pinecone – Earn points for every completed survey. You can then redeem points for cash or prizes. * Valued Opinions – You can earn up to £5 for each paid survey and get paid in vouchers. 5. Matched Betting – Matched betting is a completely legal, tried and tested way to make money online while you’re at home. It basically turns the tables on the bookmakers, to give you their free bet offers, so you can’t loose. Having some money behind you will really help to take any stress off about how you feel about your finances. Don’t feel bad. It happens to us all. Just be honest with yourself when writing down your budget. Cancel everything non essential for now and start again when you feel more in control. Our money saving printables may be able to help you have even more money. Remember to join our Money Saving Mums Facebook group as well. If things are so grave that you feel that no amount of saving money or budgeting will help then please visit a free non-profit debt crisis agencies like Citizens Advice Bureau, StepChange Debt Charity or National Debtline as soon as possible. Please don’t sit in silence. If you enjoyed this post and would like some more money saving ideas, then head over to the saving my family money section here on Savings 4 Savvy Mums where you’ll find over 50 money saving tips to help you save your family more. 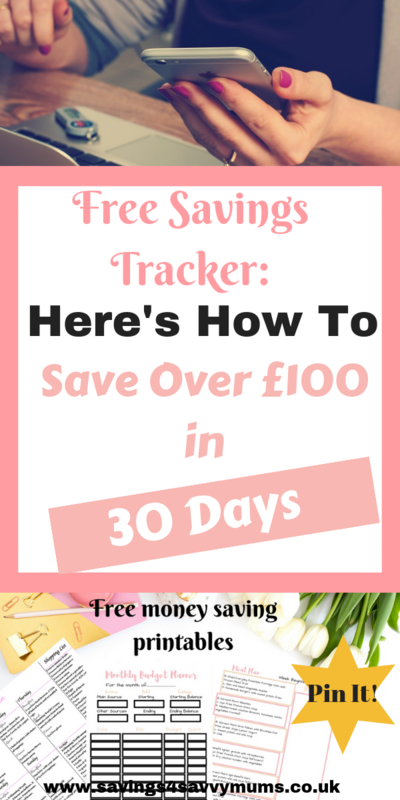 There’s enough tips to help you save over £300 a month! You could also pop over and follow my family saving Pinterest boards for lots more ideas on how to stop spending and save more; Money Saving Tips for Families and Managing Money for Families.